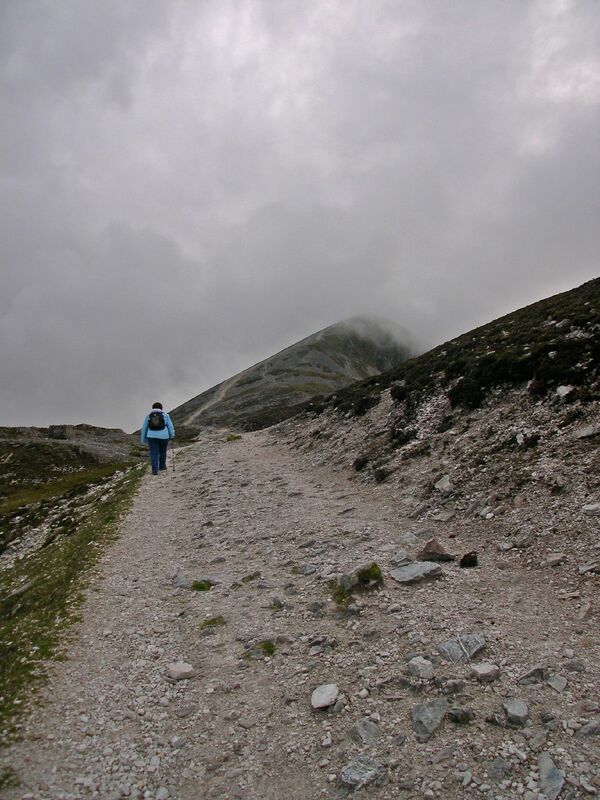 Today on the last Sunday in July,2014, 30,000 Pilgrims scaled Croagh Patrick mountain,in the West of Ireland, following a tradition going back hundreds of years. Here is my earlier post on this annual event,an event like no other that draws people of all ages from all over Ireland. On March 17 last I was delighted to be introduced to the famous annual Cottesloe Sculpture by the Sea event in Western Australia. Not only was it my first trip to Western Australia’s most iconic beach, it was fascinating to see some 70 pieces of Artwork on display in the open (and no vandalism!) Appreciation of modern art installations can sometimes be something of a challenge for me, but these modern sculptures were right on my plane and I loved them. I hope you like them too! Permanent Sunset- this coast is famous for wonderful sunsets. I do not have a name for each work, but they are good to look at anyhow! Bare feet often seen at a beach! How nice is that ! And what about some Bottle Bottoms? Hundreds of Barbie Dolls making a wave! Of course it is hard to improve on nature – this is my own piece of artwork – people enjoying beautiful Cottesloe Beach! Cottesloe Art – by Me ! Enjoying the beach! Thanks to my friend Leith, for a great afternoon! I recently enjoyed an extended trip to Australia. During my time there, I was struck by the strong connection to Ireland expressed by Irish ex-pats, the great pride they have in their Irishness, and the esteem in which many of these Irish emigrants are held by Australians.I hope to share some of my great and unexpected experiences in the coming weeks. Towards the end of my visit, I had to visit Karrakatta Cemetery, just outside Perth, in Western Australia in search of a particular grave. This is a vast cemetery, covering some 98 hectares, with a mausoleum, a Crematorium, a Commonwealth Graves Commission Section , and a Dutch War Graves section, in which the victims of the WW2 Japanese bombings in Broome are buried. (I have written about these latter two in an earlier post here.) Since it opened in April 1899, Karrakatta Cemetery has been the last resting place for over 201,000 people, and 189,000 cremations have been carried out here. On this visit I was looking for the grave of an Irishman.The cemetery is divided into denominational areas representing 37 different religions and ethnic groups. Prior to my visit I had identified the grave I wished to see online,and made my way to it along the well laid out paths, with the help of a map. I returned by a different route and was surprised to see so many Celtic Cross monuments close together, in an older part of the cemetery, I was in the Roman Catholic section, yet I was struck by the sheer number of these very Irish headstones. There are many different styles of Celtic Cross here, yet all embellished with Shamrock. There are no more Irish symbols than the iconic Shamrock and the Celtic Cross. My friend Chris Goopy, has a blog entitled Irish Graves – They who sleep in Foreign Lands where she accepts images of Irish graves for publication. She has published a number of images I sent from Karrakatta, on which an Irish origin – town or County – was clearly stated. The Cullity’s from County Kerry memorial above is included on her website. The majority of these Celtic Cross headstones did not have any mention and not Mcof Ireland, but they surely are strong testament to the Irishness of the people who lie beneath them. There is quite a variety of Celtic Crosses but all have Shamrock entwined on or carved into them, requiring a certain amount of skill by the monumental masons. Even on plain headstones, the family names are resoundingly Irish. The sheer number of them is quite remarkable. In this photo above 7 Celtic Cross headstones can be seen. As with the O’Dea headstone above, this image has a representation of the Immaculate Heart of Mary, a Catholic symbol included in the design , with the image surrounded by Shamrock on the O’Callaghan memorial. The Hon Timothy Quinlan was born in Borrisokane Co Tipperary in 1861 and emigrated to Australia with his family at the age of 2 years. His very Irish memorial records his rise to the top of Western Australian political life. Three different Celtic Crosses. This memorial towers above the others, and exceptionally shows a harp, another iconic Irish symbol. (The one depicted here is the reverse of the official Irish symbol). John Hardy was a native of County Antrim and a veteran of the Crimean War. He emigrated to Australia in 1866, at the age of 42,and ended up as a Pensioner Guard at Fremantle prison. His full (and colourful) military record can be seen here. These headstones with their Celtic Crosses date from the very early 20th Century. As such they would either be Irish-born or children of Irish-born emigrants who went here in search of a new life. The Daly monument here shows the link to Cork Ireland, in contrast to the image below of a tragic pair of young men, possibly brothers and young emigrants, or sons of Irish emigrants , who lost their lives in accidents. Their headstone is a simple one yet included the Celtic Cross and Shamrock as testament to their origins. Emigration was no protection from grief and heartbreak. This Cantwell headstone is as sad as the monument to a 26-year-old wife below. On a beautiful sunny day, too hot to sit out, I headed 10 miles north to the cooling waters of the River Shannon and pulled in to the Foynes Flying Boat and Maritime Museum. What a serendipitous decision that was, with the Museum about to celebrate 75 years of commercial transatlantic flight. Imagine! ONLY 75 years since those flights began, and haven’t they come a long way as we now criss-cross the Atlantic without giving it a second thought! At Foynes, just 15 minutes off the Wild Atlantic Way from Tarbert, Co Kerry,the only Flying Boat Museum in the world is in the original terminal building right on the main street on the N69 Tralee to Limerick road. 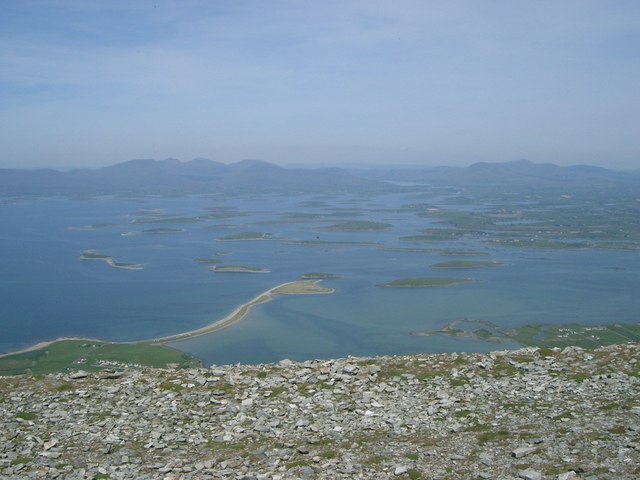 Rineanna had been selected as the location for an airport as the wide River Shannon estuary on Ireland’s west coast made identification easy for pilots who had crossed the 2,000+ miles of Atlantic Ocean. While the new airport at Rineanna – now Shannon Airport – was being built, it was decided that Foynes, further down the estuary,would be a good interim location for the European Terminal. After some test flights in either direction, on 9 July 1939 the first commercial flight, the Yankee Clipper arrived. The Museum is full of treasures for aviation enthusiasts as well for the non-expert like me. It is a techy-kids paradise as there are several interactive pieces of equipment on which they can have fun. The Museum is in three main sections. The Aviation section is devoted to the history of trans Atlantic flight, the focal point of which is a full-scale replica of the Yankee Clipper. This can be explored at leisure. Upstairs is the very spacious flight deck, relatively devoid of any high-tech banks of dials and gauges. The B.314 could carry thirty-five passengers in relative luxury. The dining room could seat fourteen at a time for a seven-course meal, freshly prepared by cabin crew. The seats converted to bunk beds for sleeping. and there was even a honeymoon suite on board! There certainly were no leg-room issues here! Seating for 35 passengers with lots of leg room! There is a good display of old radio and morse code equipment as well as flight simulators that can be tried out! There were security issues back in those days too as can be on this notice. The new trans Atlantic service attracted a number of wealthy and high profile travellers. Among the high flyers on these first flights from New York to Foynes, were Ernest Hemingway, Anthony Eden, John F. Kennedy, Lord Mountbatten, Yehudi Menuhin, Eleanor Roosevelt, Bob Hope, Gracie Fields, Douglas Fairbanks Snr and Humphrey Bogart, and Marilyn Monroe. Irish coffee was invented by chef Joe Sheridan at Foynes in 1943. A Hologram presentation tells the story of the first glass served in the B O’Regan Bar to cold and wet passengers! Foynes was the centre of European Aviation for a brief time only and ended in 1945 when Shannon Airport opened. Passenger flights ceased at the onset of WW 2 in September 1939, although military traffic continued to use the facility throughout the war. In the 1940s style cinema the story of the ‘Atlantic Conquest’ is fascinating and will be enjoyed by all! The recently extended Museum now includes a Maritime Section. The River Shannon on which Foynes is located has an impressive history, from Limerick City to Loop Head right at the end of the Estuary. US Civil War Confederate uniforms manufactured in Limerick at the Tait factory, were shipped from Foynes, breaking the Union Blockade. Not only goods, but people too were exported from the Shannon region. Many emigrants’ had their last glimpses of Ireland here. I was particularly taken with this poster from 1842 advertising passage to USA. Here at the Museum the hand-made weather charts drawn up at Shannon have been preserved in the Archives (miraculously saved from a skip!) Their Archive includes letters, diaries, postcards newspapers relating to Foynes as an air hub and about 200 years of records relating to Foynes as an important harbour, including bills of lading and correspondence between ship owners and others. In addition they hold an extensive collection of papers on Local History as there were a number of prominent and influential families living in this area. The original Control Tower has recently opened and provides great views across the river and is truly the pinnacle of the tour around this wonderful place. Foynes Harbour is Ireland’s premier deepwater bulk carrier port. On the day of my visit, there was no merchant shipping berthed, but the gantries used to load and unload the giant ships up to 250,000 tonnes, can be seen here. There is so much to see at this excellent little museum – surely one of the mid -west’s best kept secrets! It is so well worth a visit and has something for everyone. It also boasts a coffee shop and restaurant serving up some delicious food and homemade cakes. To celebrate the 75th Birthday, there will be a spectacular air display tomorrow, out over the wide River Shannon – it should be a wonderful sight! Happy Birthday to them! My thanks to Foynes Flying Boat and Maritime Museum for permission to take photographs and for the guided tour of their extensive archive during Heritage week in 2013. The archive is accessible to researchers – see website for details. A thought-provoking post for July 4th., highlighting that the Irish contribution to the American Civil War by many Famine emigrants is largely ignored in Ireland. These men had to flee the hunger and sickness in this famine stricken country, but did we forget them as soon as they sailed away? At a recent Conference in Ballinasloe Co. Galway on ‘Understanding Ireland’s Great famine: New Perspectives’, a contributor made a strong point to the effect that it was not only Kennedy’s who left these shores and helped shape the USA, but that untold numbers Irish men and women played a pivotal role in shaping that nation, yet they have disappeared from Irish memory. Today is the 4th July, Independence Day in the United States. 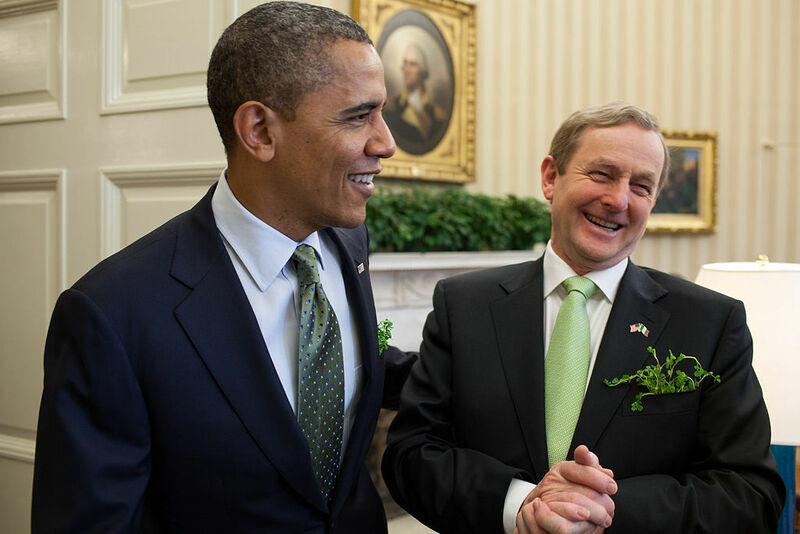 Throughout the day there will undoubtedly be a number of Irish-American themed stories and soundbytes in Ireland, as is appropriate given our historic links with the United States. From my own perspective, it is also a day to reflect on just how much Ireland as a nation chooses to neglect that relationship with her diaspora in America. This neglect in memory is becoming starker and starker when remembrance of the American Civil War is measured against the efforts being poured into our only other comparable experience of conflict- World War One. A mere 49 years separate these two events, the only in Irish history where 200,000 + Irishmen marched off to war.